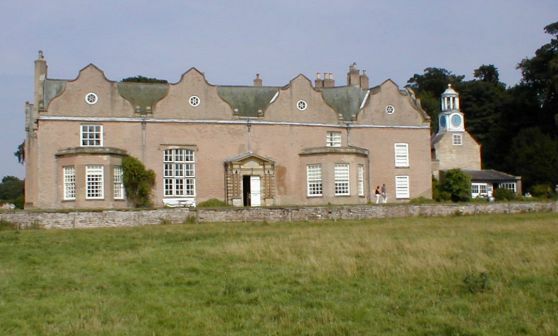 Curiosity made me search out some photos and history of the "real Thornfield Hall" in Yorkshire. I blogged an interesting article about the connection to the house and Charlotte Bronte's Jane Eyre earlier in December. The house was built in medieval times, with later additions being added at various times. The house is best known for the visit made by Charlotte Bronte in 1839. A family legend concerning a madwoman confined in an attic is said to have inspired the mad Mrs Rochester in Jane Eyre. The house is also an original of Thornfield Hall. The house also has an 18th century walled garden with Orangery and herbaceous borders. In season, you can pick your own fruit, raspberries, red currants, blackcurrants and gooseberries. (Please check beforehand). Teas are served when the garden is open for charity events. Plants, especially unusual hardy plants are available for sale from Easter to September. Norton Conyers is 4 miles north of Ripon on the road to Wath and 3.5 miles from the A1: turn off at the Baldersby Gate flyover onto the A61 to Ripon and turn right at the road signposted "Melmerby."